DCGS mission video (courtesy of 1st Combat Camera Squadron). If you want to see one of the fundamental ways warfare has changed, you should visit our Airmen who work in warehouse-sized, windowless buildings scattered around the world. They operate something that we call the Distributed Common Ground System, which is military parlance for a vast network that feeds data to Air Force intelligence analysts in real time. The analysts work around the clock staying in constant contact with U.S. troops fighting the Islamic State while simultaneously keeping an eye on global hotspots. As revolutionary as these networked intelligence ground stations are, they are showing their age. We are in the midst of transforming the machinery and networks in these sites to cutting-edge cloud-and-app-based systems. As I’ve talked with our troops about this effort, a young Airman told me he had already created an app that does his job of processing and reporting intelligence data. He then joked that he calls his app “Stonewall,” because every time he tries to implement it he runs headfirst into bureaucratic obstacles. In a few choice words, this young Airman encapsulated a culture we must dramatically change if we hope to maintain U.S. military supremacy. In my anecdotal — but I believe valid — observation, this Airman represents a corps of millennials who are ready to innovate. Too often, however, our policies get in their way. There has never been a more important time to unleash these young innovators as the Defense Department searches for ways to meet rising challenges from foes matching our military technology step by step. It seems obvious from where I sit that outclassing our rivals in the information age will require something more than high-tech breakthroughs. We will need to change the narrative for the airman who developed the Stonewall app and thus leverage the young, tech-savvy troops we need to keep for the long haul. 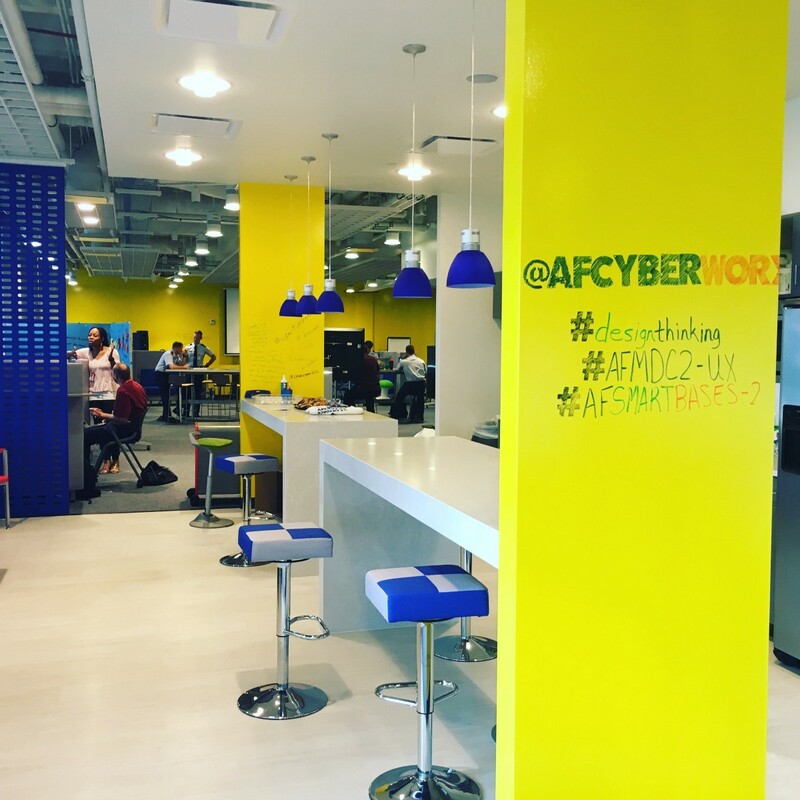 One unit’s innovation lab designed by their military millennials. The military must find a way to create what I would call an innovation ecosystem that cultivates people, ideas and technology for a common purpose. These ecosystems have emerged throughout American history in different places and in different industries, including Detroit (mass production), New Jersey (science and research), Hollywood (entertainment) and, most recently, Silicon Valley (information technology). If the Defense Department wants to out-think our rivals, we must reimagine the connections between people, ideas and technology. For decades, we innovated to change the game our adversaries knew rather than changing the game itself. To use a pop-culture analogy, we have been trying to play a better game of football rather than finding a way to play Quidditch, the rough-and-tumble contest made famous in Harry Potter. It’s time to unleash our youngest military innovators so they are developing smart apps at the speed of Google or Facebook, and finding better ways to fight or prevent wars. Developing better technology is important, but we have to be careful because technology that is focused solely on military equipment is unlikely to be our winning edge. One way or another, our adversaries will match the high-tech equipment we manufacture well before we operationalize it. That is not to say we shouldn’t pursue such technologies. Rather, we must acknowledge that information is now so ubiquitous it is unlikely that high-tech hardware alone will lead to a decisive advantage against nation state rivals or their proxies. 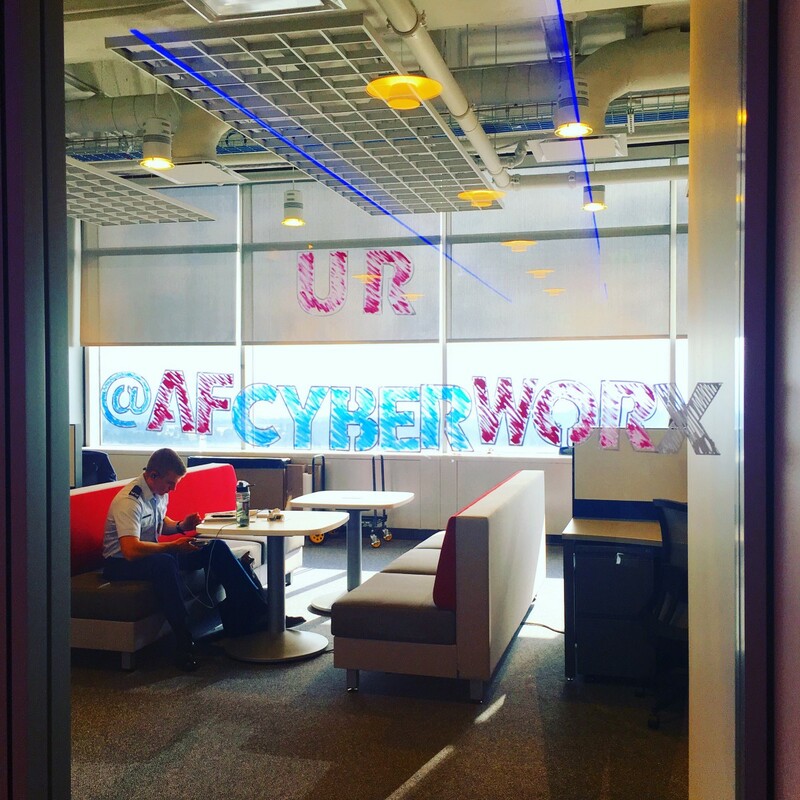 An innovation space at the U.S. Air Force Academy. Given those emerging challenges, what should a game-changing ecosystem look like? Though jarring to some traditionalists, we have to make military units feel like Silicon Valley startups. I am not talking about free snacks and nap pods. What I mean is borrowing the approach from startup culture to connect people, ideas and technology. First, the military must place much more energy and resources into developing individual talent. Leaders of innovative organizations such as Google cultivate and develop talent because they realize innovation happens at the lowest levels. We must empower military units to create more opportunities and connections for young innovators. Two of our Airmen are currently embedded with Defense Innovation Unit Experimental — an outpost in Silicon Valley that the Defense Department created to leverage the best commercial technology in the world — and are creating apps for the units we support in the field. These are the kinds of opportunities I believe we must create at scale. 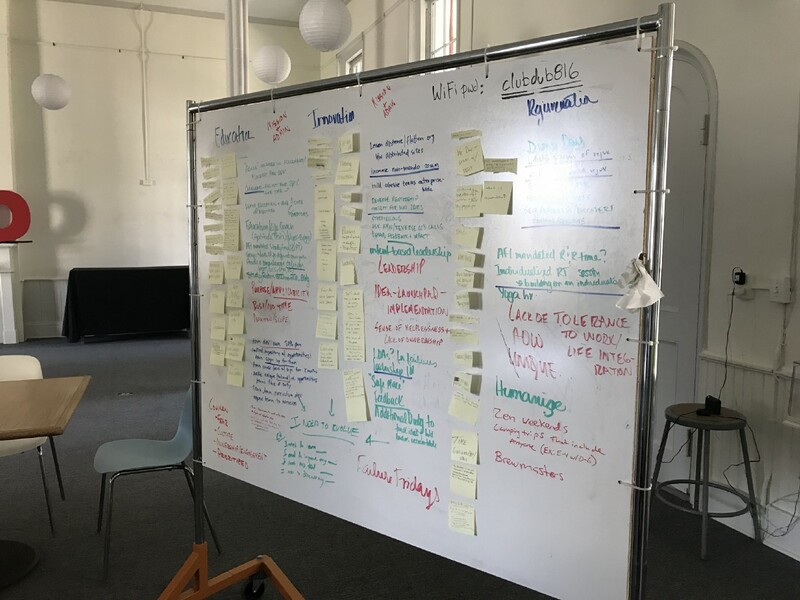 An Airmen-led design thinking session at an off-base co-working space. Second, we must change the way many units organize and operate. In the innovation centers of America, employees view their organizations in Venn diagrams versus hierarchical line-and-block charts. In Silicon Valley, the overlap in the diagram is a source of strength and an engine of innovative thinking. Military organizations too often operate within silos, working independently on projects with rigid adherence to process and bureaucratic norms. In his book, Team of Teams, Gen. Stanley McChrystal described how his task force merged the two cultures of intelligence and operations to rapidly destroy the dreaded Zarqawi network in Iraq. The Defense Department must create this type of culture across the military, so that grunts and F-22 pilots can brainstorm — or nerd out — alongside cyber specialists and intelligence analysts to operate more nimbly than our adversaries. Airmen “combat coders” recently deployed to our Air Force headquarters in the Middle East to do just that in our fight against the Islamic State. Finally, nerding out won’t be enough if these millennials can’t quickly implement their ideas. Modular designs for hardware, software and networks to allow innovation from the field will be critical to the ecosystem. The Defense Department should require troops have access to application program interfaces, the protocols for linking apps to particular programs. In making things from airplanes to networks, the military must shift from slow and clunky “programs of record” to “platforms of record” that allow innovative, app-developing troops to judiciously hack military technology and equipment to suit their needs. Modularity and application programming interface come with risk, for sure. But the centrally directed defensive measures we apply to information technology slow down and stifle the entrepreneurial spirit of our young innovators. These policies create doubt in our ability to bring new technology online fast enough to respond to current threats. Last year, the Air Force funded a government-owned open-architecture network for units like ours to enable cloud-computing, rapid app development and machine learning. We must take the next step to create an ecosystem that takes advantage of the network, because in the very near future winning or losing will depend on how fast young military minds can develop software, integrate data and leverage artificial intelligence. The military gave America the Internet and the Global Positioning System; busted the sound barrier and built the global intelligence network that today keeps our nation safe. We are still the most high-tech and most capable military in the world. But resting on laurels or technology that our rivals are copying will no longer suffice — it’s time for a reboot. The innovative spark is especially brilliant among military millennials. The armed services will always value and cultivate discipline, compliance, fitness and various other customs. The Defense Department must place a similar value on innovation within its ranks. This is a repost of my article in The National Interest originally titled “Why the Military Needs a Technology Revolution.” The views expressed are mine alone and do not necessarily reflect the views of the United States Air Force or Department of Defense.